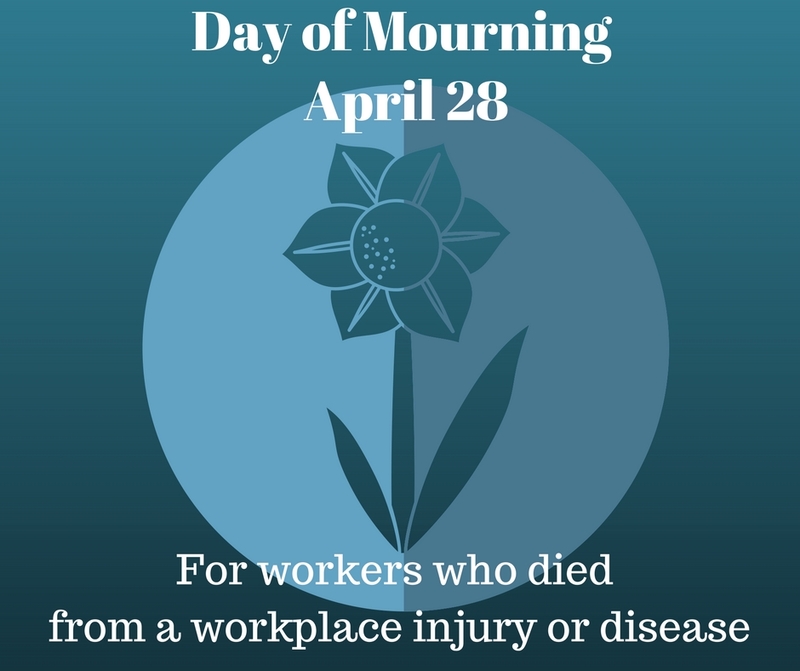 April 28 represents the annual Day of Mourning, which honours those who have lost their lives on the job as a result of work-related accidents or occupational diseases. In 2017, in British Columbia, 158 workers lost their lives to a workplace injury or disease. The Day of Mourning is a time to remember these tragic losses and renew your commitment to creating a safer workplace. We encourage you to reflect and discuss workplace safety with your respective work groups and honour those we have lost. Many events will be commencing across the country, whereby the Canadian flag on Parliament Hill will fly at half-mast, workers will light candles, don ribbons and observe moments of silence. Several events are also planned for BC communities. You may have lost a friend, family or co-worker to a work related accident or occupational disease; this day gives us all a chance to remember them. To view their names, or make a dedication to a fallen worker, visit this beautiful Dedication Wall. The Day of Mourning was officially recognized by the federal government in 1991, eight years after the day of remembrance was launched by the Canadian Labour congress. This Day of Mourning has since spread to about 80 countries around the world and has been adopted by the AFL-CIO and the International Confederations of Free Trade.